The Center for Documentary Studies’ first e-book is for anyone who wants to make a watchable short documentary using a consumer camcorder, digital SLR camera, or cell phone. Nancy Kalow, who has taught at CDS for twelve years and chairs the selection committee of the Full Frame Documentary Film Festival, has written a step-by-step and comprehensive guide to making a low-budget video with a one-person crew. 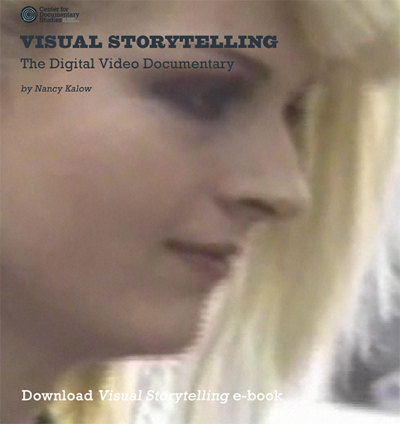 The Visual Storytelling approach guides you through shooting and interviewing, editing, and the ethics of telling someone else’s story.